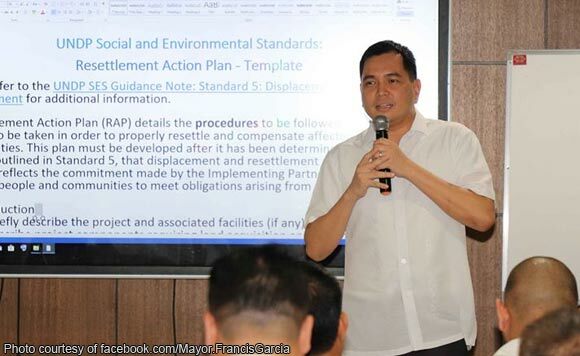 The local government of Balanga in Bataan is discussing a proposed housing project for the city’s informal settlers, Mayor Francis Garcia said Wednesday. The politiko said on his Facebook account that a three-story low rise housing project is being mulled in partnership with the National Housing Authority to protect residents living near riverbanks and flood-hazard areas. In a meeting with the Local Housing Board and Local Housing Management Committee, Garcia “discussed the blueprint of the project to give importance to protecting the community by increasing their resiliency and adaptability to climate change,” the mayor’s Facebook post said. “These facilities will be built intended for the affected residents living nearby riverbanks and flood hazard areas,” it added. “The livelihood component of the project will soon be discussed during the two-day Resettlement Action Plan Workshop that will be attended by local and national government agencies,” the statement said.